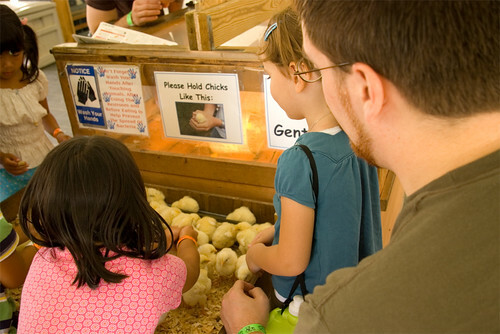 all the little stories» Blog Archive » farm fun and a visit to a new church. « i am an anime princess. We had a very busy weekend. Lots of fun in the sun and time out and about. 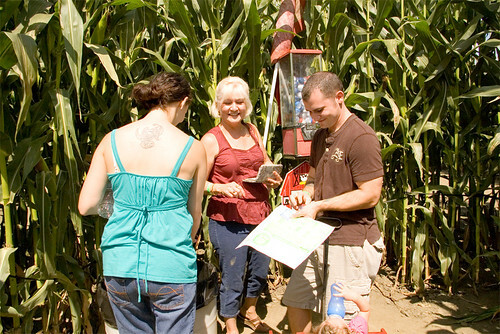 This Saturday we went to the Cherry Crest Adventure Farm to meet up with fellow digi scrap designer Kara Perrien and her family (her hubby, her sweet little girl and her mother-in-law). We had a wonderful time exploring all the cool things they have at Cherry Crest. 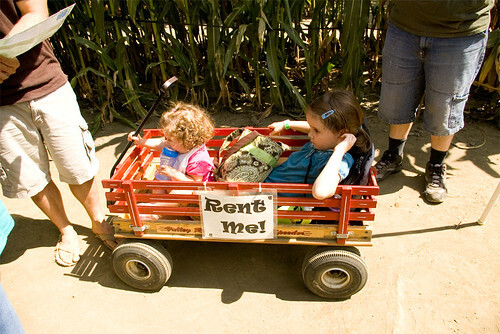 I’m so thankful that our friends shared their wagon with my five year old princess (who apparently thinks she’s still a baby and can’t walk herself…). So, we found our way out… and it only took us about 45-50 minutes! Yay, team! 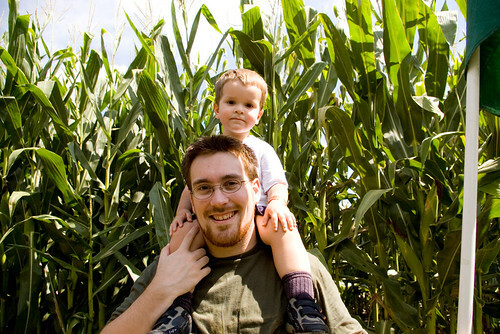 Corn mazes are fun, but not when you feel lost and trapped and hot and tired and sick of wandering around in the corn. So this was the perfect maze length for me—just long enough to have a great time! After lunch we were sucked into some strange “puppet show” (which I knew would probably be an ad for their kid’s “Make-a-Friend” and “Build-a-Barn” workshop). But what I didn’t expect was that it would be half video, half puppets and that it would be a “Hey, kids! Let’s learn some trite facts about how the Amish are just like us, but different!” show. Very weird. 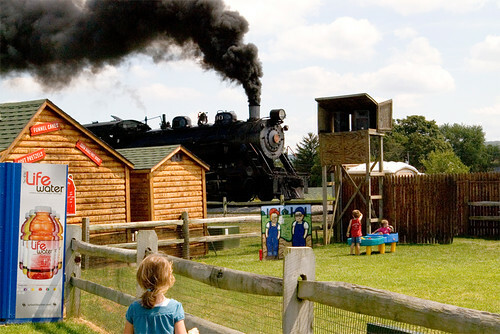 Very glad when it was over and we could go to the other side of the train tracks and play around at some of the other attractions they had at the farm. All in all, a very awesome day! Then on Sunday, we drove into Lancaster and visited a new little church plant in the city called Inner Metro Green. It was very cool. We enjoyed it! And we’re looking forward to getting together with some of the great people we met there this Sunday. This entry was posted on Monday, August 25th, 2008 at 12:42 pm and is filed under family, flickr, just life, linkage, photo post. You can follow any responses to this entry through the RSS 2.0 feed. You can leave a response, or trackback from your own site. Hi Nicole…thought I’d come by here for a visit. I have been here ages ago so I’ve added you to my RSS Feeds to check out what you’re getting up to aside from all that scrapping! 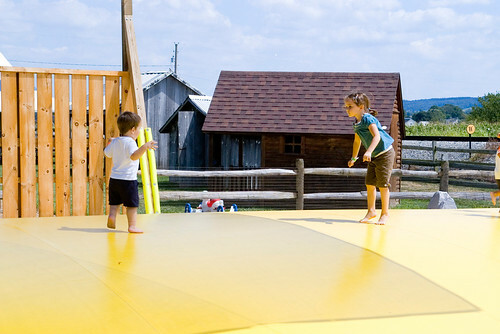 Your day out looks so much fun…slides, trains, farms, mazes and all the other things you got up to. We had two huge pillows at the resort we visited in June and boy were they heaps of fun. The kids didn’t like being on there with me as I bounced them all over the place and they would just face-plant into the thing! Ooops…no big kids allowed they said! This place looks like SO much fun!! 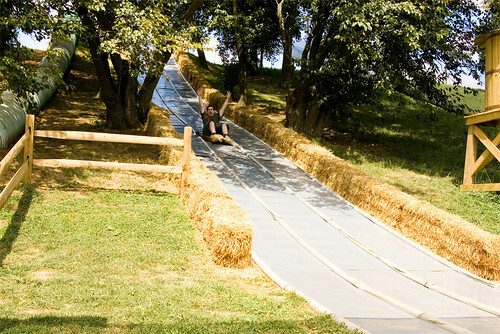 Wish we had a fun place like this near us!! Your kiddos are sure cute! !